If you are looking for a women’s road bike that is tough yet speedy, then the Fuji Finest will be right up your alley. The Finest has an aluminum frame and is a little over 10 kilos in weight. This bike is a moderately priced road bike. Fuji certainly does have an interesting mix of bicycles which is what piqued our curiosity about the Fuji Finest. It has been designed to be tailored to women cyclists. This is certainly a welcome change but it was time to see if the Finest actually lived up to its name. 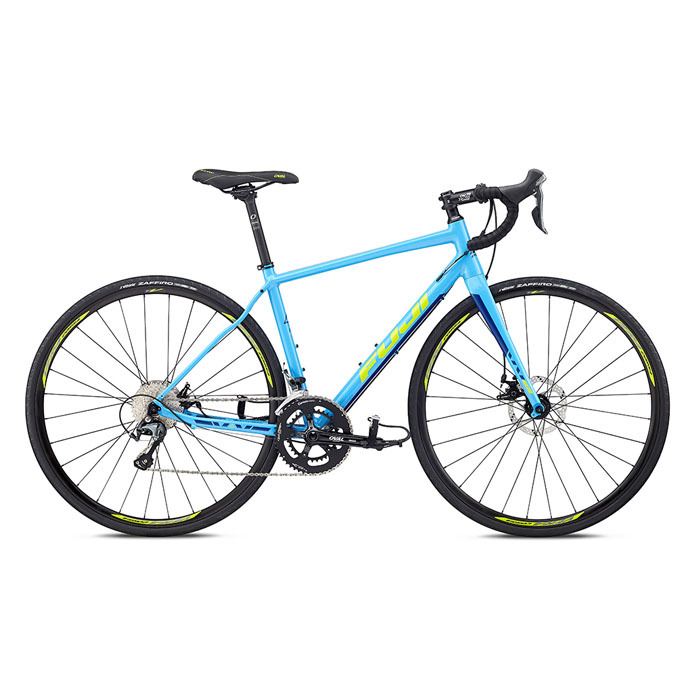 Now, Fuji has classified the Finest as a Road Endurance bike. After a short ride on this bike, we really did agree with this bike. It certainly is a tough little machine. If you were to invest in it, we are quite certain that it will last you a while. At ten kilos, the Finest is quite light, particularly when squared off against the competition. We were still quite surprised at how fast we were going, nonetheless. This bike is certainly not a slacker when it comes to picking up the speed. Furthermore, it is also quite comfortable. That being said, you can expect to feel a bit of vibration travelling up the handlebars every now and then. We decided to go to a more hilly area and see how well the Finest tested there. The gears worked really well and we found ourselves being able to go uphill and downhill with no problem at all. In particular, cycling uphill was quite delightful because the frame was considerably lighter than what we were used to. For the price that it was going for, we were also quite impressed with the specs and the components. No, they weren’t the best on the market. However, they were a lot more than what we were expecting for the price that we would have to pay for the Finest. In this regard, the Fuji Finest really is a great value for money. The Fuji Finest is a great value for money and offers up a solid and comfortable ride, regardless of the terrain. The Fuji Finest is definitely a bike that you want in your arsenal. It will last you a long time.